Open Shop hours are three days a week, posted on our front page, and contain all of our programming within it. During open hours the public is (excluding cis-males on WTF nights) welcome to use our tools and buy parts and learn how to fix their bicycles for a small hourly donation. 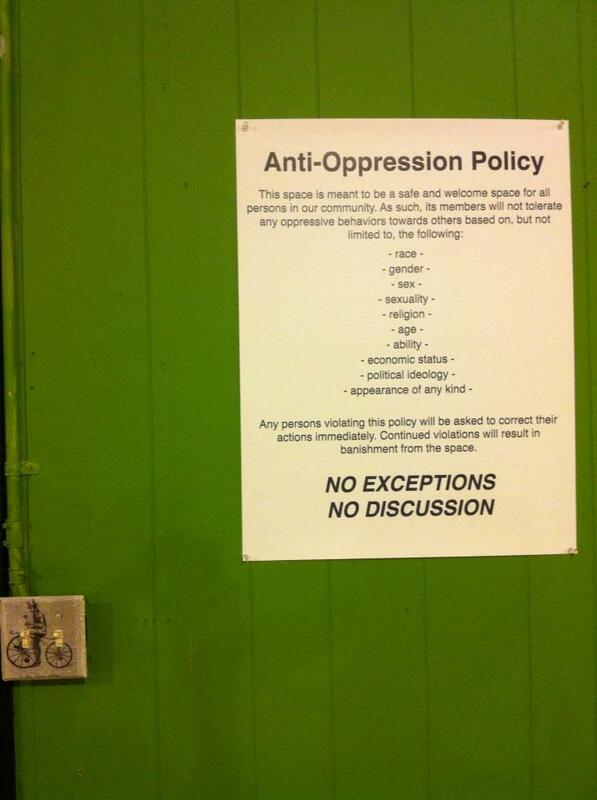 So that we are unassailable and inclusive to all members of the community, we have an anti-oppression policy that all staff, volunteers and patrons are expected to follow.